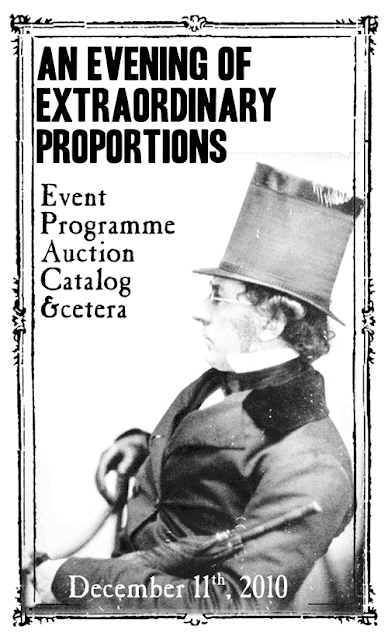 Our Event Programme and Semi-Silent Auction Catalogue has been released! The Semi-Silent Auction will proceed in three phases throughout the evening. Please come prepared with cash, check, or money card to bid on auction items. We believe you will find these items Unusual and Curious, and well worth the Cost. As with your ticket price, winning bids in the auction are donation that will directly support these fine technical organizations. A silent auction is a variant of an English auction where bids are written on a sheet of paper. At the predetermined end of the auction the highest listed bidder wins the item. Our Semi-Silent auction will occur in three rounds, with the most Interesting, Intriguing, and Valuable items in the third and final round. It is “Semi-Silent” in that there is no auctioneer, but the names of winning bidders in Rounds Two and Three will be announced to the Thrill of All. 7 Geek Date: Mushroom Hunt with Jason H.
47 "The Thinking Machine" Secret Inner Workings Are Revealed! · Register for the auction at the door when you come in. · The number on your ticket is your Bidder Number, so keep ahold of that. 1. Round One bidding begins at 6pm and ends at 7pm. · Each item is clearly marked 1, 2, or 3 to indicate the Round in which bidding closes. · Anyone may bid and may bid on as many items as they wish. · Bid sheets are displayed near each item. Print your Bidder Number legibly on the first available blank line. Please remember to read the descriptions carefully. Some items have restrictions (i.e. age). · The first bid must be at least the minimum. Use round dollar amounts. · To raise the bid, it must be by at least the minimum increment on the bid sheet. Use round dollar amounts. · Be sure that your bid is always the highest. Write new bids on the next available line. · If the bid sheet fills up, additional sheets will be provided by auction monitors. · As each Round of the bidding ends, make sure your final bids are made by then. · In each Round, some of the auction winners will be announced. Please be aware that winning bids are neither anonymous nor private. · After the end of each Round is announced, check the board near the entry door to see if you your bids have won. · Pay for items at the end of the evening (about 9:45pm). Go to the cashier table in the hall. Payment may be made by cash, check, or credit card. · Wining auction items will not be available for pickup until after the last auction item in the third and final Round is announced. · Payment in full is required before you may receive your items. · Be sure to read the back page of this catalogue for the fine print and important tax information. Your generosity supports radical tech collectives Riseup and UBEW.